It's been an exciting year with the production of our BBC Natural World film 'Hotel Armadillo' narrated by David Attenborough. 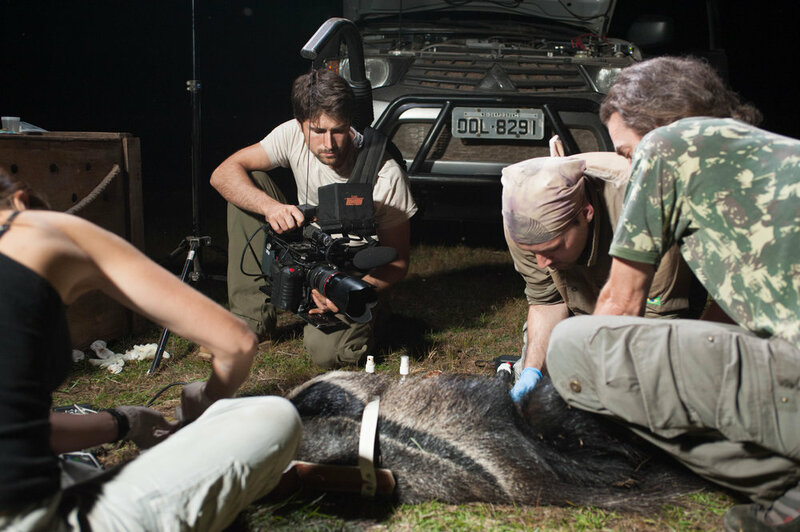 This film follows the extraordinary work of biologist Arnaud Desbiez and his team in conserving Giant Armadillos in Brazil's Pantanal. They are one of the most elusive creatures on earth and this is the first time that Giant Armadillos have ever been professionally filmed in the wild. 'Hotel Armadillo' follows the incredible story of Arnaud and his passion to conserve and highlight the incredible role that Giant Armadillos play in the eco-system. Using a combination of camera traps, infrared lights and a professional wildlife team, this film takes you into a forgotten land with extraordinary never before seen footage.